There comes a time in every parents life when you have to make the decision to get rid of the double pushchair. My oldest son is now four and a half and although he hardly ever goes in the double Phil&Teds anymore, we always use the double kit for storage of bags and just in case we have to walk far. However a few weeks ago he was sitting in the pushchair when we saw the head teacher of his school up ahead! I went into a blind panic and immediately insisted that he get out before she saw! With that in mind we are finally selling the Phil&Teds after many happy times together. It has had four punctures but I attribute that to the sheer weight it has had to bear. With lucky timing, I've been offered a stroller to review for Son 2 (who is still only 19 months) which will be just for him as it's probably one of the first times he has had something which hasn't been a hand me down. I'm really excited about reviewing the Easywalker June and it is coming this Friday! "Because the june is COMPACT, in use (short and small) and folded, fits in a Mini Cooper. 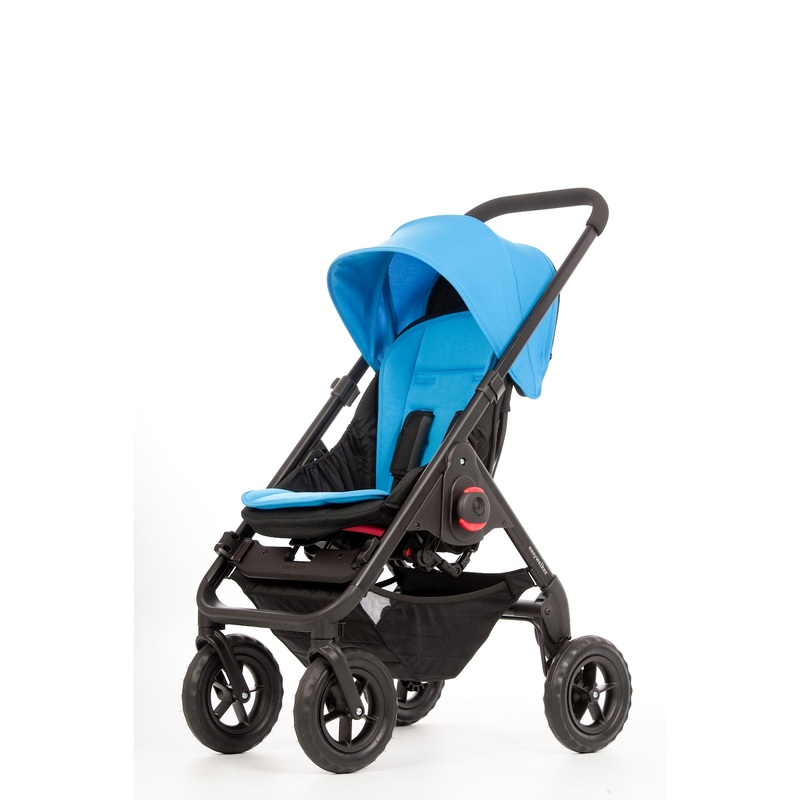 COMPLETE, padded reversible large seat, a full size carrycot and prepared for car seats. COMFORTABLE, because of the 4 suspension and shock absorbing air filled tires and super strong construction. Also the june is USER-FRIENDLY, folds in one movement with seat in every position." I even got to choose the colours and the frame type which was the best job ever. I went for a red and black seat with a silver frame, it is going to look very very cool and most of all very cosy and comfy for Son 2. When I had Son 1, I decided to get a pliko pramette which in hindsight was a big mistake as I had constant pushchair envy when I saw someone smugly walk past with a Quinny or Bugaboo. Now I will be the recipient of pushchair envy! Anyway, here are some pics....what do you think, how lucky am I? Thanks Easywalker! Have you got your June yet? How is it?